I recommend your service to all of my colleagues, podiatrists, physios and chiropractors. Your receptionists are excellent and we always feel like they are truly part of our team. The end of Rip-off bank charges: all charges for paying by card to be banned! The media is all-over how this impacts the customer, without being aware that the business is just passing on a cost from the bank. 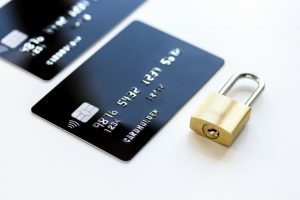 Most businesses charge a percentage on credit cards because the merchant companies who transfer the funds will make a percentage charge to them. So on a £500 item, flight, or booking the merchant will charge about £7.50. Plus the business will be paying a monthly fee, a set fee on all debit card transactions and for the terminal (card machine). There is a lower risk of card fraud than there was with cheques, and there is less labour involved on the merchant side so it beats me why they started to charge more to do debit and credit card transactions in the first place. Nowadays the charges for cheques and cash to be banked are higher so you would expect the debit and credit charges to be reduced. Big businesses can negotiate a reduced fee with the banks but sme’s don’t earn as much for the banks, so they are charged the full rates. You can shop around to find a better rate for an SME, but at the end of the day if you are a small business you will pay proportionately more for any service. Sme’s are really being kicked around here. So who should pay for the transaction the customer or the business?